Please find our terms and conditions below. Click on the collapsible boxes to view the individual sections. All pricing in catalogues, adverts and e-shots is correct at the time of going to press or release, however, it is subject to change. The correct price will always be shown on the Focus website www.focus-education.co.uk/onlinestore. Please refer to this to confirm prices charged on products and publications. Focus Education aims to process and despatch all UK mainland orders within 48 hours. Timescales quoted on the website and in marketing literature are estimates only and are dependent on availability, normal processing and delivery companies. Customers will be notified if goods are out of stock, on backorder or a pre-ordered item. Postage charges for outside of the UK are on a per order basis. Ring the office on 01457 821 818 for details. Delivery charges are not applicable on the Downloads range or Update Service as these documents are emailed to customers. Unsuitable items must be returned within 7 days of the date of purchase and the original proof of purchase must be included (i.e. delivery note or invoice). Focus Education will then refund goods in the form of a credit note, however the original postage costs will not be refunded. The process for an exchange is the same as a refund. Please contact Customer Services on 01457 821 818 and they will arrange to send out the replacement item once the original item is received. Please note: Items containing CD’s, e-books (and electronic copies/resources) cannot be exchanged. Items damaged in transit or deemed faulty will be replaced. Please contact Focus Education within 3 working days of receiving your goods and we will send out a replacement. Where no replacement is available, we will issue a refund or credit note. You have the right to cancel your order within a period of 7 days. The period of 7 days begins on the day after the day you receive your goods. Please be aware that your right to cancel does not apply to certain goods that we sell, for example, items containing CD ROMs, e-books (and electronic copies/resources). You must inform Focus Education of your wish to cancel in writing either by letter or email within a period of 7 days beginning on the day after the day you receive your goods. You must take reasonable care of the goods and may inspect and assess them, but not use them. You should return goods to us in their original packaging, wherever possible, as soon as possible after informing us of your wish to cancel. Focus Education will not be responsible for any loss or damage to goods during transit and we recommend that you use a recorded or secure delivery method. If goods are lost or damaged in transit, Focus Education reserve the right to charge, or not refund to you, amounts that are attributable to the loss or damage. Focus Education cannot accept substitute or alternative items by way of returns nor are we able to send them back to you. Please look closely at the items you return. Make sure that products returned are in perfect condition and have all original packaging. If you return goods to Focus Education, we will not be responsible for any loss or damage to them during transit and we recommend that you use a recorded or secure delivery method. If goods are lost or damaged in transit, Focus Education may charge, or not refund to you, amounts that are attributable to the loss or damage. Focus Education cannot accept substitute or alternative items by way of returns nor are we able to send them back to you. Please look closely at the items you return. All hard copy publications, CD’s, e-books (and electronic copies/resources) sold by Focus Education are the product of Focus Education (UK) Ltd. They are protected by copyright and information cannot be copied and re-sold. Reproduction, storage, adaptation or translation, in any form or by any means, of this publication is prohibited without the prior written permission of the publisher. Publications should only be used by the purchasing organisation or individual. Products are for use with one site and may not be used across a federation, academy trust, chain or any other form of collection of schools. Focus Education does not grant permission for the purchaser to distribute the content of this publication, either physically or electronically, outside their organisation, this includes placing the whole document or parts on social media or internet sites. Please contact Focus Education if you have any queries regarding the use, ownership or copyright of publications. Focus Education does not send out physical goods on approval, however, customers can be sent sample pages of the publications by email as a pdf (Adobe Acrobat Reader Document) to view electronically. These documents are secure and cannot be printed but will allow the customer to make a decision as to whether to purchase the product. Please contact Customers Services on 01457 821 818 to request sample pages of any of the focus publications. FOCUS UPDATE SERVICE is an annual subscription service, payable at the start of the 12 months or 24 months. 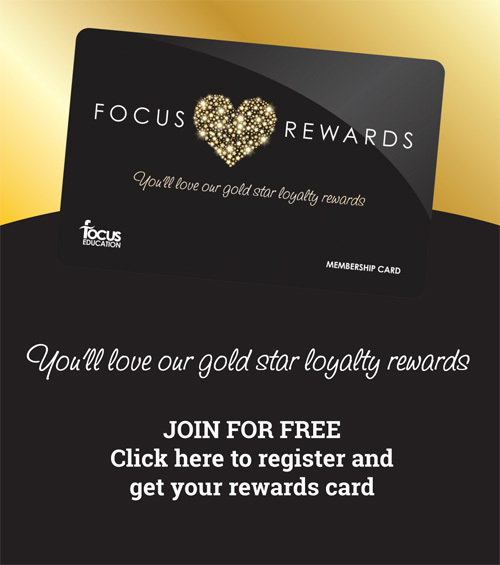 Focus offers a free three month trial for those customers unsure. Updates are written to provide an overview of most recent publications, documents and developments. As such, they cannot provide every detail. Readers who wish to scrutinise in a detailed way should follow the links in order to obtain original source documentation. The purchasing school or individual may distribute the documents within their school. If it is discovered that individuals circulate more widely, Focus Education UK Ltd reserve the right to refund the cost (pro-rata based on months) and delete the individual from the circulation data base. Local Authorities who wish to purchase on behalf of their schools should contact Focus to arrange a bespoke pricing structure. Customers must inform Focus if they wish to take advantage of the three month free trial, otherwise, on ordering, an invoice will be sent out for either the 12 months or 24 months service, depending on what has been specified. The 12 month subscription will be invoiced on a rolling annual system until we are notified in writing the customer wishes to cancel. At the end of the 24 month subscription, the customer will automatically be invoiced for a 12 month annual subscription unless we receive in writing notice of cancellation. Cancellations should be advised in writing to Focus Education within the term of the 3 month trial period. At the start of the 4 month, the client will be invoiced for the full amount of the annual subscription and payment should be made within 30 days. If customers wish to cancel part way through their 12 month subscription. Focus will credit the customer with the remaining FULL months of their subscription and remove them from the Updates list. Unfortunately, customers subscribing to the 24 month service are unable to cancel part way through and they must continue for the duration of the subscription. TEACHER PROFILE is offered on an annual license contract. This contract runs from the date the Data Processing agreement is signed by both signatories (Focus and Client) and then from year to year thereafter unless terminated by the client. The Client (or school) may not terminate this contract within a licensed year. Should the client wish to terminate the contract, this must be done in writing a minimum of 30 days before the end of the annual license. If we don’t receive notice that the school wishes to cancel the annual license, an invoice will be processed for the following year’s subscription and sent out on or just before the anniversary. Payment is strictly 30 days. On signing the Data Processing agreement, an invoice will be processed and sent out. If payment is not made within 30 days, Focus Education reserve the right to disable a schools account until payment is made. If the school don’t make contact with Focus to reinstate their account after 12 months, the account and all stored data will be deleted. This is not retrievable. Upon signing and sending this form back to Focus Education, you are bound by the terms and conditions which shall take effect immediately. If you do not agree with the Terms and conditions, please contact Customer Services and we will cancel your order immediately and refund any monies paid by you. Focus Education may change these terms and conditions from time to time and so you should regularly check these. The latest version of these terms will govern any future usage by you of these videos. On receipt of your signed terms and conditions, we grant you a licence to use the purchased video training. This licence is limited, revocable, non-exclusive, non-sub licensable and non-transferable and is subject to the rights and obligations granted under these terms. This license is with the purchasing school and cannot be shared or exchanged with other schools, institutions or staff members outside of the purchasing school. You shall not copy, modify, transmit, distribute or in any way exploit the products or any other copyrighted materials provided other than for your individual training. Any other purpose is expressly prohibited under these terms. You shall also not permit anyone else to copy, use, modify, transmit, distribute or in any way exploit the products or any other copyrighted material. The starting date of your access to the videos is deemed to be the date that you first have access. We will take all commercially reasonable steps to provide you with uninterrupted access to the Products. However, you are responsible for obtaining access to the website and for maintaining your computer system and any other equipment required by you to access the website. Your access may be restricted from time to time for reasons beyond our control. Such reasons include force majeure events, power outages and actions from computer hackers and others acting outside the law. Your access may also be interrupted due to software issues, server downtime, increased Internet traffic, programming errors, regular maintenance and other related reasons. Where this is the case, we will take commercially reasonable steps to restore your full access within a reasonable period of time. ‘Commercially reasonable’ in these terms shall mean reasonable efforts taken in good faith, without an unduly burdensome use or expenditure of time, resources, personnel or money. You must take appropriate steps to ensure that you regularly check for viruses when using the website on any device. We are confident that you will be highly satisfied with this video training. This is training that has been run at conference venues throughout England and has had excellent feedback. Do make sure you read the detailed programme information and view the video clip before you purchase it. Once you have access to it (i.e. the link and password has been emailed to you) this training is non-refundable. This applies even if the email has not been received or the link within the email ‘clicked’. All rights, title and interest in intellectual property rights relating to the Products including copyright, patents, trademarks, trade secrets, improvements, developments, proprietary information, know-how, processes, methods, business plans or models (including computer software and preparatory and design materials thereof) and all other intellectual property (whether registered or not) developed or created from time to time shall exclusively be owned by Focus Education. While you may utilise the intellectual property, you understand that there shall be no transfer of ownership of the same. Nothing that you see or read in the Products may be copied, reproduced, modified, distributed, transmitted, republished, displayed or performed for commercial use. All other trademarks, service marks and trade names in this material are the marks of the respective owners and any unauthorised use is prohibited. We reserve the right to remove content we consider to be ‘out of date’ to protect our professional reputation and ensure customers are always accessing relevant information. If we remove this video content but you would still like access to it, please contact Customer Services so we can arrange this. You acknowledge this is your decision to access this content and we are no longer promoting this as relevant and wholly accurate. Course refers to any conference, course, training event, breakfast meeting or twilight course organised by Focus Education. Focus Education courses are held at high quality hotels, sporting grounds or meeting venues. However, it is impossible to control outside events such as fire alarms and issues with the venue. Where possible, our events staff will minimise disruption to delegates. On the rare occurrence of operational issues such as illness, bereavement, adverse weather conditions or unavoidable travel issues such as cancelled flights, trains or road closures, Focus Education will not be liable for any charges incurred to the client. Focus Education does not accept liability where courses are disrupted by events outside the control of Focus Education UK Ltd and will be unable to offer refunds. Delegates booking through the Focus website will receive confirmation of their course booking by email and post (Focus Education cannot be held responsible for email addresses supplied incorrectly, or emails blocked by local authority or school servers). Delegates booking via the telephone or another means will receive confirmation of their course booking by post. Delegates will receive a course pack (by email) at least 5 working days before the course date giving directions to, and details of, the venue alongside an agenda for the event. (Focus Education cannot be held responsible for packs not being distributed within a delegate’s own organisation or for email addresses supplied incorrectly, or emails blocked by local authority/school servers). If for any reason any delegate has not received confirmation of their place or a course pack prior to the event, please contact Customer Services on 01457 821 818 to confirm your place. You can also access your course pack online. Delegates with special dietary requirements should notify Customer Services on the booking form or by telephoning Customer Services on 01457 821 818. Focus cannot be held responsible for your school not requesting a special diet prior to the conference. Where possible, the Focus Events staff will try to accommodate your diet with the venue. However, for some dietary requirements such as Kosher or Halal food this has to be planned in advanced. Focus Education reserves the right to cancel or postpone this course if it is not viable. All delegates will be informed as soon as practically possible. Where possible, Focus Education will endeavour to offer an alternative date and venue. Where an event is cancelled in advance by Focus Education, delegates will be offered a full refund, credit note or transfer to an alternative event, but no other costs will be refunded. Unfortunately, Focus Education cannot be held responsible for covering hotel accommodation and travel costs booked by delegates, in the event of a course cancellation. It is the delegate’s responsibility to ensure flexible rates are booked. The cost of supply cover will not be reimbursed. In the event of a cancellation being made due to an Ofsted Inspection, Focus Education may waive the course fee, providing the organisation can provide evidence of the date of an Ofsted Inspection. Non-refundable expenses incurred by the company will still be charged such as the venue delegate rate, printed handouts etc. Consultancy refers to any arrangement where a client books the services of a Focus Education consultant to deliver or provide input. This is a binding contract between Focus Education UK Ltd and the organisation making the booking as described in the confirmation of the booking. Please advise us within 7 days of receipt of the confirmation if any of the details are incorrect or need amending. It will be assumed you accept the terms and condition if you do not contact us to inform us otherwise. On booking a consultancy, Focus Education will invoice the client upfront for the cost for the consultancy. This secures and holds your booking. Where payment upfront isn’t possible, we require a minimum of 30% deposit to be payable upfront and the balance to be paid before the consultancy day. Where numbers attending an event are needed in order to ascertain a final charge for consultancy, Focus Education should be notified of the final numbers attending the event not less than 48 hours prior to the event. The quoted fee is dependent upon the information supplied to Focus Education at the time of booking. The client is liable for any additional charges if the actual head-count exceeds the number stated. Consultants often produce hand-outs to work alongside the presentation and training. Focus Education can produce these handouts for you at a cost per booklet. This will also incur a postage fee. Alternatively we can provide you with a PDF electronic version of the notes for you to produce your own handouts. The cost of any handouts produced by Focus Education will be sent on a separate invoice alongside the consultant expenses. Handouts and course material is strictly for use within the purchasing organisation only. Material produced by Focus Education UK Ltd that is shared with non-attending schools is in breach of copyright. The client will be liable to meet any non-refundable costs associated with the consultancy which cannot be cancelled regardless of when Focus Education is notified of the cancellation. Whilst we understand that from time to time, clients may wish to cancel at short notice, the above criteria will apply. Focus Education reserve the right to withdraw a consultant if it is believed there is any reputational risk to the company. On the rare occurrence of operational issues such as illness, bereavement, adverse weather conditions or unavoidable travel issues such as cancelled flights, trains or road closures, Focus Education will not be liable for any charges incurred to the client. Focus Education does not accept liability for any failure to provide the services contracted, which is due to circumstances beyond the control of the company. Payment can be made via cheque, bacs or credit card. Payment terms are strictly 30 days. Focus Education reserve the right to charge interest on late payments. Occasionally, we may credit your account if we’ve had to cancel a course or invoice. This credit can be used to pay or part pay against other goods or services from Focus Education. This credit will remain on your account for 12 months. After this period, this credit will be cancelled and you will be unable to use this. Focus Education send out monthly statements which will show debits and credits on your account. IMPORTANT!!! It is your responsibility to oversee your account. We will not be able to retract and correct historic transactions over 12 months. Focus Education UK Ltd offers impartial advice and coaching to clients. No liability can be accepted for subsequent action taken by clients following advice from any of Focus Educations’ consultants and associate consultants.